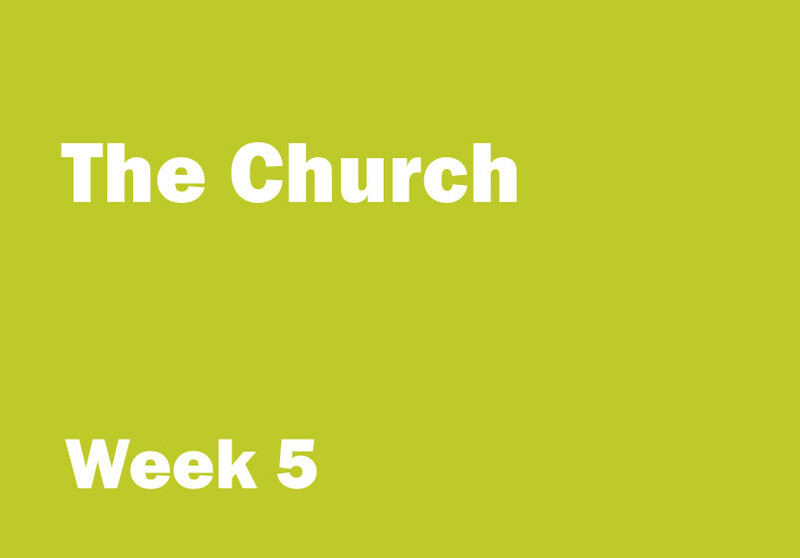 Week 5 objective: to talk about a church being the people not the building. Aim: to play a game that introduces the idea that the Church is the people, not the building. You will need: a table, chairs and dried pasta of various types (try to include spaghetti and small macaroni in your selection). Encourage the children to sit up to the table. Place the pasta in the centre of the table. Ask the children to make a picture of a church building using the pasta shapes. The children can work directly on the surface of the table; they do not need to glue their pasta pieces together or make the ‘picture’ on a piece of paper. When the children have finished constructing their pasta church buildings, allow them to talk about their pictures if they wish. Praise each of the children for creating their pictures. Remind the children that their pictures are of church buildings and that the church is the people; not the building. Quickly underline the word 'disciples' and remind the children that this verse is about all Christians everywhere. Christians today are Jesus' disciples because like the first disciples they want to live the way Jesus lived and do the things he taught. They want to think, feel and live like him. Remind the children that a few weeks ago we discovered that a disciple is someone who, with the powerful help of the Holy Spirit, is learning and growing to be more like Jesus. We also learnt that because Jesus loves people, with the powerful help of the Holy Spirit his disciples will learn and grow to love too. Last week we learnt that when Christians love each other and get on well they can do great things together for God. Draw a group of stick people next to the verse and remind the children that the church is not the building; it is the group of Christians who gather together. Circle the group of stick people and explain that although many church buildings are very beautiful and useful, wherever the Christians meet together they are the church. For older children you might want to explain that Christians believe there is one big Church called the Universal Church. The big Church is made up of all Christians everywhere – it stretches around the world. It is in fact made up of all Christians that are alive now and have ever lived. Of course it is not possible for all Christians in the Universal Church to meet together. However, lots of Christians meet together in smaller groups close to where they live. These groups of Christians are called local churches. All around the world there are thousands and thousands of local churches. Christians often get together in their local churches on a Sunday because this is the day on which Christians have gathered together for hundreds of years. But Christians get together on other days too. Quickly ask the children to list some of the things Christians do when they gather together. Discuss the children's answers and explain that Christians gather together to help one another live God’s way - they help and encourage one another to love God and love others. Talk about Christians singing and praying together - talk about Christians showing their love for God by worshipping him together. Spend some time thinking about your church. Talk about ways you help one another to love and care for others. Perhaps someone in your church organises a food bank collection or a soup lunch for the elderly. If you have time explain that one of the ways Christians help each other is through ‘fellowship’. ‘Fellowship’ is the word the Bible uses to describe times when Christians teach, challenge, comfort, support and encourage one another. Christians believe that when they spend time together in this way the Holy Spirit works powerfully among them helping each one of them learn and grow to live God’s way.